Gun Control and Breed Specific Legislation. Same problem, same solution. Neither works. If you don’t own a dog you may not know what Breed Specific Legislation (BSL) is about, but if you own a gun you certainly know by now what Gun Control is. The problem is that both are about the same thing, the liberal methodology for handling problems. Believe it or not guns and dogs have something in common. They both do what the owner wants them to do, either good or bad. Liberals don’t see things that way. If a Pit Bull attacks someone – liberals say we must ban all Pit Bulls. If a deranged individual shoots someone with a gun – liberals all say we must ban guns. Gun ownership and dog ownership are both a matter of individual responsibility. The truth of the matter is that guns don’t kill people, people do. I like to tell the story about a character I call Joe Sixpack. Joe sits on his front porch every night and drinks a six pack of beer, Joe owns a Pit Bull, keeps it chained up to a tree and likes to brag to his neighbors that he has the biggest, meanest dog in the neighborhood. Once in awhile Joe is careless and his Pit Bull gets loose and attacks someone. Everyone blames Joe’s dog but no one blames Joe for making the dog as vicious as it is. Joe could and probably does own a gun besides owning a Pit Bull and he is just as irresponsible with the gun as he is with his dog. Because Joe is a mean person, who may even have some psychological problems, he is also mean to his dog and he mistreats it to make it vicious. If Joe gets drunk and takes out his gun and shoots up his neighborhood, Joe will get arrested but the politicians will also blame Joe’s gun for the crime. Why BSL and Gun Control are both unfair and why they both don’t work. Joe Sixpack is the epitome of cruelty and irresponsibility and should never be allowed to own a gun or any kind of dog, especially a powerful animal like a Pit Bull. But it isn’t the dog’s fault that it behaves the way it does. Joe’s dog is mistreated and unloved and most likely on purpose because Joe wants the dog to be mean. While Joe is a hypothetical character, there are many people just like him in real life. One of them is Michael Vick a professional football player who owned dozens of Pit Bulls and trained them for dog fighting. 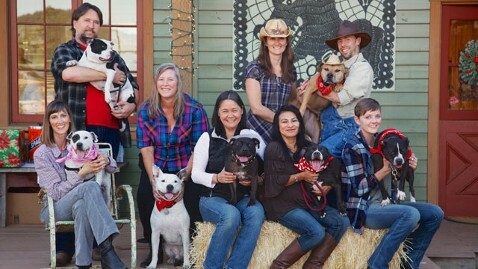 Vick’s Pit Bulls were all abused and mistreated in order to keep them in mean fighting shape. After Michael Vick was arrested his ferocious Pit Bulls were taken from him and placed in a rehab facility and within a year of receiving lots of love and kind treatment all of those 45 Pit Bulls were adopted out to loving families. You can read about their story on the web site Bad Rap: http://www.badrap.org/vick-dogs and Sports Illustrated and here is another story on ABC News. They were battered and bruised but, ultimately, they were not broken. Seven dogs rescued from NFL quarterback Michel Vick’s Virginia property when he pleaded guilty to federal charges relating to dog fighting, were reunited in California Oct. 27, tails wagging, tongues out, happy. Five years ago they had scars, some physical, all emotional. They wore bandannas at their reunion celebration, surrounded by 125 emotional guests and their proud owners. The moral of that story is obvious. No breed of dog is born vicious, they are made that way by irresponsible and evil people but liberals fail to understand such obvious examples. To a liberal, capitalizing on tragedies like a dog attack or Sandy Hook Elementary School or Aurora, Colorado builds good public relations and gets lots of votes so liberal lawmakers are the first to raise the concerns about Public Safety whenever something bad happens, be it a dog attack or a shooting. The NRA once ran a really good television ad that showed a politician who starts off by saying “I support the Second Amendment” then, reacting to a shooting incident, he cries out that “We must do something to stop the violence” then he says “We must ban the ownership of guns”. And that was before we got Barack Hussein Obama. The self-appointed state run leftist news media that has always agreed with the Marxist/Socialist rule that citizens should not be allowed to have guns, continues to ignore statistical evidence that shows that law-abiding citizens who own guns do more to prevent gun violence than the criminals who commit them. Those areas where there are fewer gun restrictions have lower crime rates than places like Chicago or Detroit that have greater gun restrictions. Only once in awhile will the news media report about some case where a mother hid in a closet protecting her children with a handgun and shot a violent criminal. There are thousands of similar stories where a legally owned gun prevented a crime. A mother of two was home with her children in Loganville, Ga. when she heard a repeated knocking at the door. Concerned, the mother called her husband, who told her to “get the kids and hide.” The mother complied, retrieving a gun and taking her children to a crawlspace. By the time they were hidden, the criminal who had been knocking at the door had made it inside the house and was making his way towards the closet where the family was hiding. The home invader opened the crawlspace door, at which point the mother fired six shots from a .38-caliber revolver, striking the criminal five times. The mother kept the revolver trained on the home invader as he exited the house. In the dog world people who oppose BSL use the phrase, “Punish the deed not the breed” which makes a lot of sense when you think about it. In the act of punishing the deed the owner of the vicious dog must be taken into account and how responsible and caring he was or was not. If the lawmakers prosecuted the irresponsible dog owners for the attacks made by their dogs, there soon would be no more dog attacks. If the lawmakers and/or the news media acknowledged that almost all of the mass murderers in recent history have had psychological problems and were taking psychotropic drugs or had stopped taking them, then the focus on the problem would be keeping these mentally ill people off the streets and not the guns which they possessed illegally. The reason why Breed Specific Legislation and Gun Control both do not work is the fact that criminals have one more thing in common with Joe Sixpack – they do not obey the law. When a community passes a ban on a specific breed of dog the only ones who will give up their dogs are the law-abiding people who loved and cared for their dogs and who were not the cause of the problem in the first place. Vicious dogs are owned by some people for more than bragging rights. They are sometimes owned by criminals such as drug dealers who use them to protect their property. I personally know something about that because I own a Rottweiler who was born in the Bowling Green Humane Shelter after her parents were picked up by the State Police. Back in 2002 the Kentucky State Police raided a drug dealer who had a pair of Rottweilers guarding his property. The drug dealer made the mistake of assuming all Rottweilers were vicious because of their unfounded bad reputation when he got the dogs for protection. The male and female Rottweilers had different ideas and treated the police raid like company coming for a visit and because they were so gentle they were put in the shelter. With the exception of the present day situation that contemplates a national gun ban promoted by a wannabe totalitarian government, where millions of law-abiding citizens will likely refuse to surrender their guns for patriotic reasons, criminals who have little regard for any laws would never turn in their guns either. And neither do the drug dealers care about laws that would ban their Pit Bulls or any other powerful breed of dog they may use to guard their illegal enterprises. If the national news media acknowledged the true purpose of the Second Amendment as our Founding Fathers conceived it, that an armed citizenry is the best and last resort to prevent tyranny, then the arguments of the gun control proponents would be realized for what they truly are. How is it, we live in a nation where those who believe in it are beginning to have to to huddle in defended communities as subcultures? It is having to live like the Anabaptists, or Jews in the ghettos of old Europe, or Americans of African descent in the Jim Crow era, or American Indians on reservations — but armed in accountability to God for our sovereign citizenship (Romans 13, Hebrews 13). The new apartheid, credit to ever more despotic government? One more step toward Gulag America. The assault on the Constitution and our Founding Principles has accelerated. 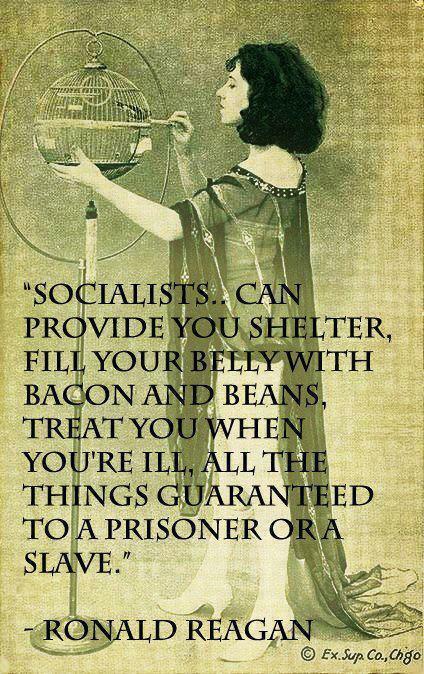 Americans seem to be assailed by Marxist/Progressive propaganda at every turn. The most serious threat to our God-given rights currently, is the attack being mounted on the Second Amendment by the Progressive Left. They worked hard to manufacture a crisis with the Fast & Furious project which, to their disappointment, was exposed for the corrupt scandal it was before it could be leveraged to generate the outrage they hoped for. Their prayers for violence and horror, however, were answered. Using ginned up hysteria from convenient, current mass shootings and the slaughter of children – they never let a crisis go to waste. The Marxists see an opening to gut the Constitution and they are making their move. We dare not passively wait to be stripped of our rights. The time for physical resistance has not yet arrived. Violence is always the very last resort. But neither has the time to just protect your own. Yes, we should take stock of our food, ammo, weapons and survival materials. Yes, we should brief our families and be more vigilant in protecting them. Yes, we should get to know our neighbors and form alliances. No, we should not just regroup and wait. That is a swift path to dictatorship. Pray for the best, plan for the worst. People should be doubling down on calling their politicians and letting them know that we are massively against these fascist moves towards banning and confiscating our guns. This is a battle we cannot — must not — lose, not if we wish to avoid civil conflict and bloodshed. This is it, boys and girls. We are fighting for all the marbles here. Throughout history, each time there is a genocide (or, “ethnic cleansing”), arms are regulated, registered and confiscated. Obama is threatening to go down that path and he relishes the thought. This is the fight of our time and we will not submit to tyranny forced on the American people. That is not how this country was built and patriots will not sit this dance out. We must stop this abridgement of the Second Amendment at the government level or the fabric of America will be torn asunder. This is what Obama wants – he wants to ban guns, force every gun owner into a gun registry and then he wants widespread confiscation of our weapons. Patriots at that point will fight back and Obama also wants that, so he has an excuse to kill and imprison those who stand against him. He would then declare martial law where he can really and truly rule as an iron-fisted dictator. It’s been his end goal all along. Before door to door confiscation though, look for bank account seizures to force registration or submission of arms, just as the IRS uses in tax collection techniques. Banks have already started using this as a weapon against gun retailers and it will only get worse. It’s not just the Second Amendment that is being attacked here. America’s liberties are being methodically beaten and pummeled from front and back. Virtually all of our Constitutional rights are under siege. If the administration gets its way, gun prohibition will spawn new speakeasies and black markets. Our prisons will fill up with those whose religious rights are violated under Obamacare, those who won’t relinquish their guns, people who are subjected to illegal search and seizure, as well as surveillance and on and on, while we struggle to understand “what we did to deserve this.” Meanwhile, Obama will release into the populace the real criminals, causing more violence and chaos. “For our own good,” of course. Obama will keep pushing Cloward and Piven and collapse the financial system. He will encourage “localized” Shariah law and pull more and more of the Muslim Brotherhood into our government. Massive amnesty for illegal immigrants is also in the political cards. Yes, it will hurt employment and wages, but we probably “had it coming.” For those who think I am an alarmist, you better take a long, hard look at what is happening. It is right in front of you. The systems are being overwhelmed with so many small fires, they cannot all be extinguished and anyone who tries will fail from exhaustion. It is the Soros school of regime change. We have the Police Chief in Chicago now stating that it doesn’t matter if you are licensed legally to carry a firearm – if you are armed, the Chicago police will shoot you. Armed gangs are ruling our major cities and Obama wants to disarm the people, so the only ones who have guns are the criminals. The NRA’s membership has skyrocketed in the last month by 250,000 and Americans are now carrying MORE guns than before. They are patrolling neighborhoods and protecting those under attack. 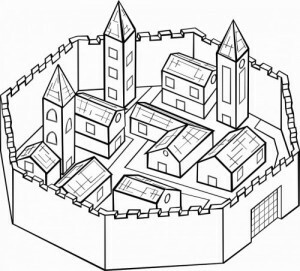 Walled communities in isolated regions are beginning to surface as well. Americans will try anything and everything to protect themselves. Many of the actions by this President are, in my opinion, impeachable offenses. 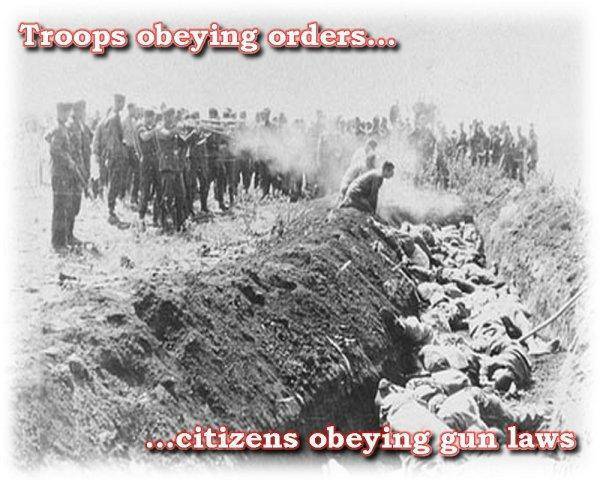 If Obama uses an Executive Order to forward the banning and confiscation of guns, he will be in direct violation of the Constitution and should be impeached. I have no faith our politicians will do so, though. They don’t have the spine for it, much less the political will. If they don’t move against him, soon he will control solely through the Executive branch with no fear of reprisal. Our 3 branches of government will not matter, nor will the Constitution. This has to be stopped. Everywhere you turn now, you hear the whispers of resistance. Sean Hannity, Mark Levin and Michael Savage among many others are ringing the warning bells. Our leaders should listen and carefully. I wonder, will it take a “burning bed” event before the abuse will stop? The old urban lesson of the seventies is that the difference between civilization and the jungle is security. And there is no substitute for security, whether it’s the security of one man with a gun, or a very expensive police department of men with guns carrying out the marching orders of statistical analysts. The political left has forgotten the lesson of Willie Horton in its arrogance and its base of metal working artists in converted warehouses has forgotten the lessons of that old Times Square that they never visited, but still nostalgically pine for. And as they work to disarm the people and dismantle police forces, it is inevitable that it is a lesson that they will be forced to learn again. We are suffering from Battered America Syndrome. As Tammy Bruce has astutely pointed out, Obama is like the abusive husband who beats his wife and tells her it is for her own good. In fact, the abusers have formed a gang called the “Progressive Left.” They are ruling as bullies would and they don’t plan on ever leaving. The unvoiced threat is that if we push them, they will beat us to death. But, you know what? This battered spouse is a fighter and will fight back with all the courage and fury they can muster. Any bets on who will be left standing? After putative PA president Abbas went to the UN late last year to seek recognition as a state, PM Netanyahu made several announcements, including the fact that planning for building would be advanced in the area between Ma’aleh Adumim and Jerusalem known as E1. This caused a furor among the Arabs and their supporters because, went the claim, building in E1 would prevent a contiguous Palestinian state from being established. This is simply not the case, and I want to review the situation once again before proceeding. 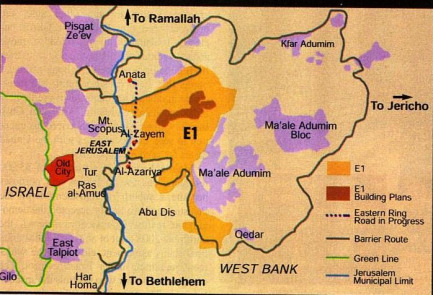 Here you see a map of the E1 area and Ma’aleh Adumim. 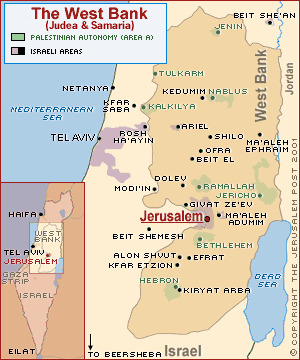 Note the arrows saying “To Ramallah” to the north, and “To Bethlehem” to the south. What the Arabs want is continuity of Ramallah and Bethlehem via a tract of land that is directly adjacent to eastern Jerusalem. That is because they still covet eastern Jerusalem (at a bare minimum, and all of Jerusalem, more honestly) as the capital of their state some day. That requires that state to be up against eastern Jerusalem. Once there is contiguity between Ma’aleh Adumim — which is itself only seven kilometers (just over four miles) to the east of Jerusalem — and Jerusalem, via E1, a swath of Arab land that runs along all of Jerusalem’s eastern border is no longer possible. This does not mean, it should be noted, that a theoretical Palestinian State could not abut Jerusalem at some eastern points. There just wouldn’t be contiguity along the whole eastern border of the city. But in any event, Jerusalem will never again be divided and is not going to serve in any part as the capital of a Palestinian Arab state. Jerusalem was only divided once in its 3,000 year history: During the illegal occupation by Jordan of eastern Jerusalem from 1948 to 1967. Since then full Israeli sovereignty has been applied to eastern Jerusalem and Israel’s basic law stipulates that the undivided city is the capital of Israel. 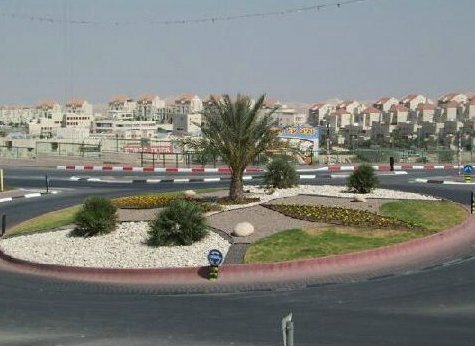 And the government has consistently envisioned Ma’aleh Adumim — with a population now of some 40,000 — as being contiguous with Jerusalem, were there to be a Palestinian Arab state; there has been no intention to either abandon it or to allow it to be surrounded by an Arab state on all sides. And, I should add, lest there be any doubt about this, this city and E1 are fully and solidly within Area C, allocated by Oslo to full Israeli control. All of this background is essential, not because I am envisioning a Palestinian Arab state but, because of what is being claimed now by the Arabs. Two days ago, some 250 Palestinian Arabs and “activist” supporters — organized by the non-governmental Popular Struggle Coordination Committee — set up an “outpost” with more some 25 tents on Area E1 to protest Israeli plans for the area. They declared that they were building a new village, which they were calling Bab el-Shams (Gate of the Sun). “Bab el-Shams is our gateway to Jerusalem,” the committee told the media. Netanyahu immediately ordered roads to the area closed and then had the area declared a closed military zone. Several PA ministers were prevented from entering. Before full action could be taken, however, an attorney for the group, Tawfiq Jabareen, claiming that the land was private Palestinian Arab land, filed a petition with the High Court for a temporary injunction against the State of Israel. Everything is “private Palestinian land,” if you believe PA and PLO representatives. Jabareen maintained that the property had been “misclassified” as Israeli land. He said he was representing four Bedouin families, that the land was theirs, and that the outpost was being established as part of a project to attract tourists to learn about their culture. Allegedly, they were planning to teach people how to grind wheat on stones and make pita bread. They are inventive, I’ll say that much. The temporary injunction was granted — as long as there was not an emergency warranting an evacuation. 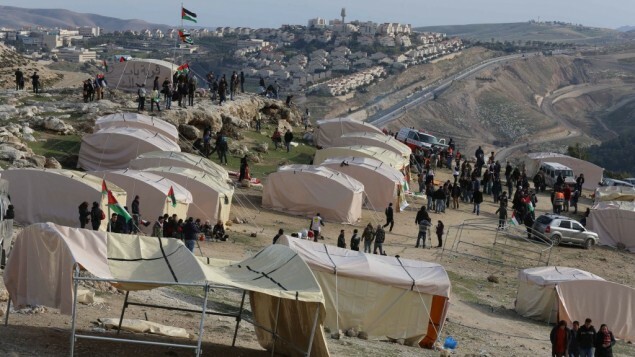 The Civil Administration for Judea and Samaria (which operates under the umbrella of the Ministry of Defense), says the land belongs to the State and that those who pitched the tents did so without permits. It issued eviction notices. In the small hours this morning, Israeli police entered the site and evacuated some 150 persons who were there. With the exception of Mustafa Barghouti, Palestine National Initiative Director, and one other person, they were not arrested but, rather, escorted out, put on buses and brought to Kalandiya. Apparently the tents will not be removed until there is documentation of the ownership of every plot of land on which they stand. With certainty, things are tough and getting tougher in Syria. As of now, it is estimated that 60,000 have died there, and the count goes on. While the world watches. As Palestinian Arabs there have on some occasions taken the side of the government and on other occasions taken the side of rebels, their position is hardly secure. Thus, last month Abbas appealed to the UN to make it possible for these Palestinian Arabs to come to PA controlled areas of Judea and Samaria and to Gaza. And the UN successfully brokered a deal in which Israel would permit them to come. Israel’s condition was that they relinquish their “right” to return to Israel. He is willing to let others risk death in order to save himself. No surprise at all. On January 4th of this year, he gave a speech honoring the founding of Fatah in which he advanced a radical political doctrine. In his speech Abbas avoids all mention of a historic compromise with Israel that would bring the conflict to an end. Nor does he “He did not mention the land-for-peace formula or the establishment of a Palestinian state beside Israel. Instead, Abbas chose to reemphasize that the Palestinian people remain on the path of struggle to realize ‘the dream of return’ of the Palestinian refugees and their millions of descendants. “Abbas pledged to continue the path of struggle of previous Palestinian leaders, mentioning the Mufti of Jerusalem, Hajj Amin al-Husseini, who forged a strategic alliance with Nazi Germany, and heads of Palestinian terror organizations who were directly responsible for the murder of thousands of Israeli civilians. All are equal and suitable partners in the Palestinian struggle, and their ideological platform, even if it is terrorist and/or radical-Islamist, is a source of inspiration for the Palestinian people. “…What is important is not the vapid debate over whether Abbas can still be regarded as a partner for peacemaking, but rather to internalize that the political environment in 2013 no longer resembles what the Middle East looked like when Israel began talking to the Palestinians in 1993. “The next Israeli government must accept the fact that given what is going on in the Middle East, it is completely unrealistic to propose a negotiation to reach a full-blown final status agreement with the Palestinians. The word now is that France and Britain, with support from Germany, are honing a new “peace proposal,” which they hope to unveil in March. They are totally daft, but, harboring more than a bit of malice towards us, they can be a very painful thorn in our collective side. What occurs to me, as I read this, is that Netanyahu is likely to factor in these international nuances as he shapes his coalition. Several alternatives lie before him. He might move right, incorporating Habayit Hayehudi, with intention of standing strong. Or he might bring in left-center parties to show the world how amenable to compromise he is. Oh, how he needs backbone now! I’m not going to predict what is going to happen, but will say that I’m glad he acted with alacrity with regard to E1. One happy piece of news after another. What I don’t know is if this is simply Abdullah talking — as this might strengthen him internationally, or if there has been some very quiet agreement on meeting. The likelihood that Abbas would buy into this, considering his current negotiations with Hamas, seems remote indeed. But for the first time recently I’ve seen talk — however vague — about a Palestinian-Jordanian federation in mainstream media. What is clear to me is that Israel will not push Abdullah or make him look weak. He is balancing a very unstable situation, as Islamists eye his throne. I might see Netanyahu reasoning that a (token) meeting in Amman might have consequences far less serious than if Obama or the EU were breathing down our neck. Last week, Abbas met with Hamas politburo head Khalid Mashaal in Egypt, as Egypt’s president Morsi worked to broker reconciliation arrangements between the two groups. While unity is hardly a done deal, Fatah and Hamas are now on better terms than they have been in a long time. This follows Hamas’s engagement with Israel and Abbas’s unilateral bid in the UN. Last week Israel had storms, first rain and then snow. Days of storms and drenching rain. Now it has been announced that Israel has moved from a situation of water crisis to a period of water stability. The Kinneret, which is now at its highest level in 20 years, had 100 million tons of water poured into it in the course of the storm — and there is still melt-off from the Hermon to come. The winter is not yet over and already 130% of the nation’s average in rain has already fallen. NRA President Schools Candy Crowley: Obama and Feinstein Are Driving Gun Sales Not Us! 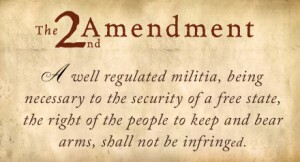 In addition, the 2nd Amendment to our federal Constitution recognizes that this God-given right to keep and bear arms is to be free from any interference WHATSOEVER from the federal government. Say you barbequed outside last Sunday. That was lawful when you did it. Next month, Congress makes a pretended law which purports to retroactively criminalize barbequing outdoors. So, now, what you did is a crime (for which you are subject to criminal prosecution); even though when you did it, it wasn’t a crime. That is an ex post facto law.